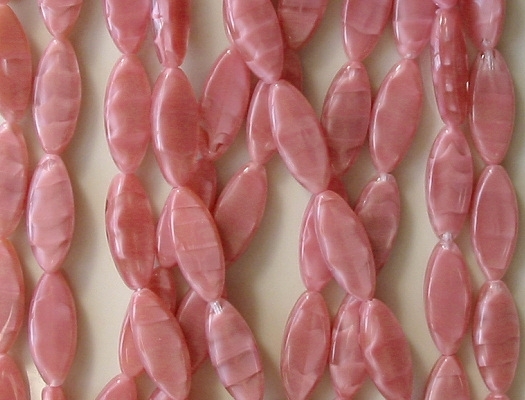 Subtle stripes of opaque pink satin glass; some beads have areas that are completely clear. 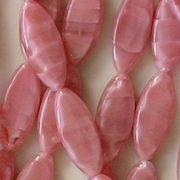 The pink in these beads is combined with clear glass. I believe, though I'm not certain, that the manufacturer used clear glass (in combination with the pink) because the clear glass is more viscous and goes into the mold easier. 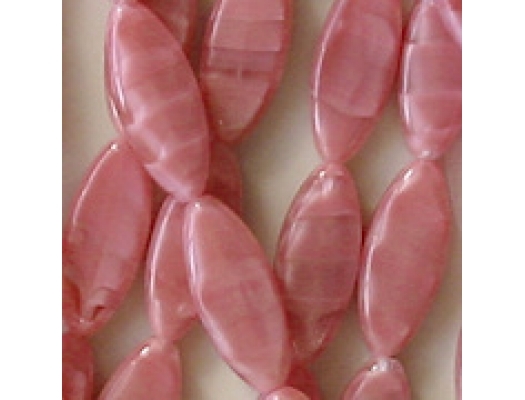 Consequently, some beads have small areas that are clear. I'm not eliminating those beads because they look acceptable to me, and they are perfectly usable. About the picture: The picture is old and too dark. The actual beads are a little lighter and brighter. The color is very nice.